Zippered main compartment with double 27" reinforced webbed handles. Open front pocket. Key ring. Side mesh pocket. Every attendee at the conference loved the bags! They are very good quality and are logo was spot on! 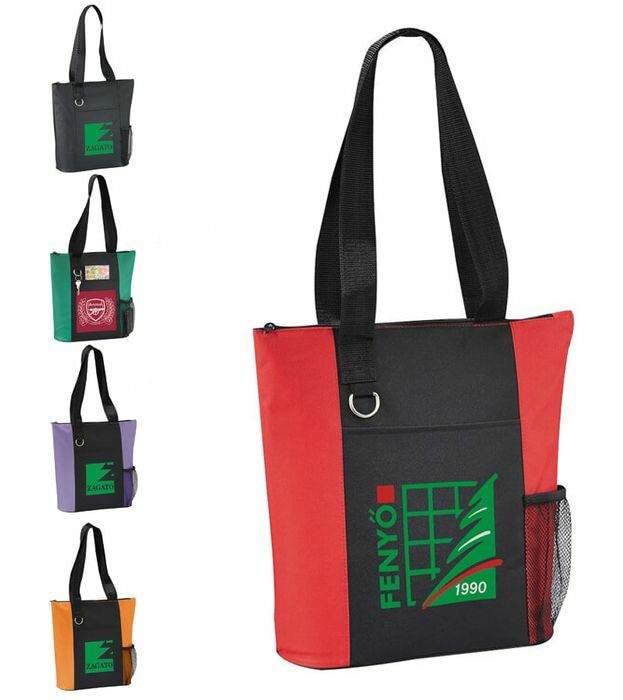 They are also priced well for a bag with a zipper and water pouch. We would definitely order again.